Hey my fellow bloggers, it has been a while! #MyApologies….. So, anyways, a lot has gone on since my last blog post – the cats have calmed down and come around to the idea of the puppy dog (who aint so much of a puppy anymore! ), we’ve decorated out the old pet play room (which used to be the office room if you remember? ), and – guess what – we’ve purchased a brand new bed frame! 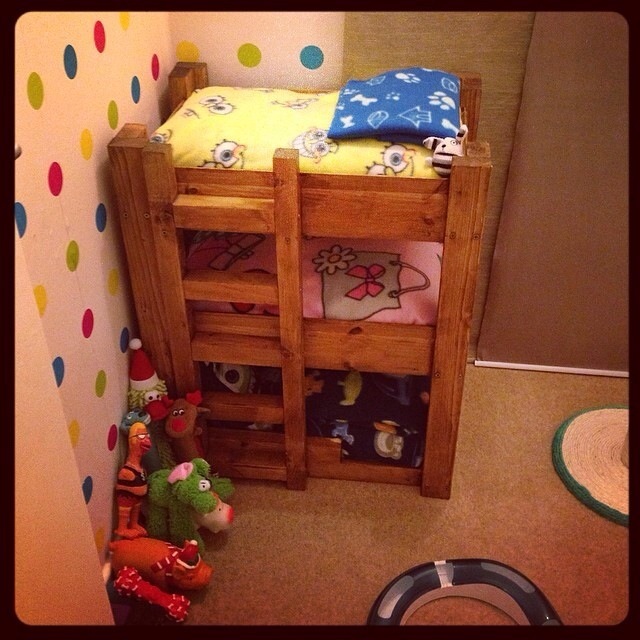 The 3 tier pet bed was custom built by a young guy from our local area – he did a fantastic job! The bed was Kelly’s idea, and it looks awesome (or as the pets say, ‘pawesome’). The pet bed is the style of a bunk bed. We needed a 3 tier bunk bed, for obvious reasons – ie: two cats and a dog!…… Each bed base is the size of a UK standard pillow, which acts as a mattress for our beloved animals. We bought x3 kids fleece throws off Amazon in kids themes such as Minnie Mouse, Toy Story and Sponge Bob…… The fleece throws make an awesome cover over their soft mattress, and make cleanliness a piece of cake (we just whip those throws off each week and give em a wash via the washing machine, and jobs a good en!)….. The three fur children LOVE their beds! The wallpaper was a bargain, and was purchased from Wilkinson’s. We needed something that was going to fit in with two boys and a girl, and we loved the fun design. 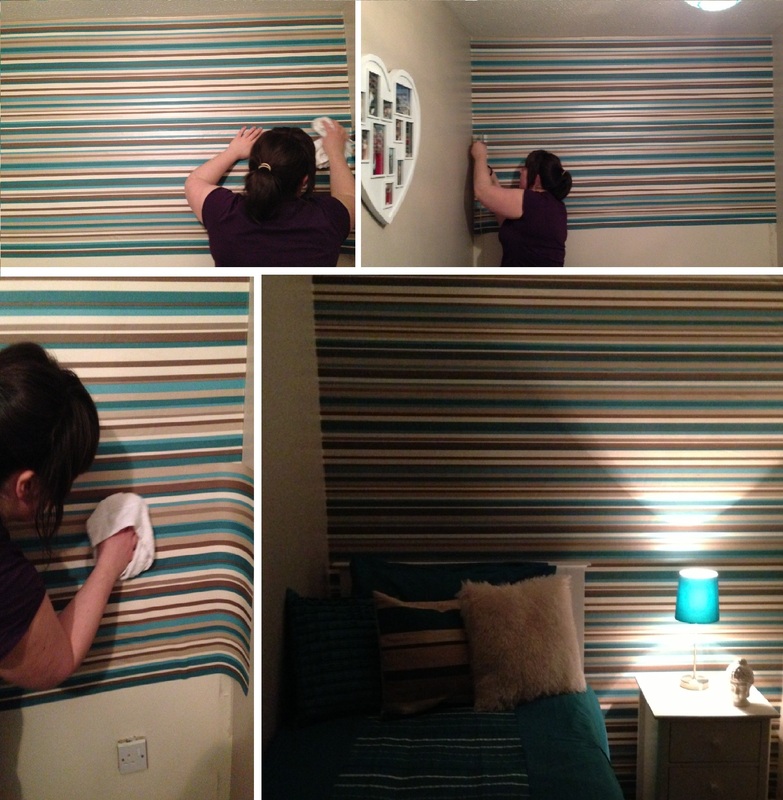 Wallpapering took no time at all, and in our opinion – it looks fantastic! The carpet was purchased from a local store in town, Darlington Carpet Centre, located on Bondgate. We opted for an off-cut (due to the size of the room, and the fact we would have little waste (if any). It was extremely cheap and fit’s the purpose what it was meant for. The cats love the fact they have soft luxury carpet (of their own) to leap on to on a morning, and Hugo (the Chihuahua) – well – he doesn’t know any different! Cats causing a nuisance: DIY again! Heart Shaped Photo Frame: hanging on the wall!